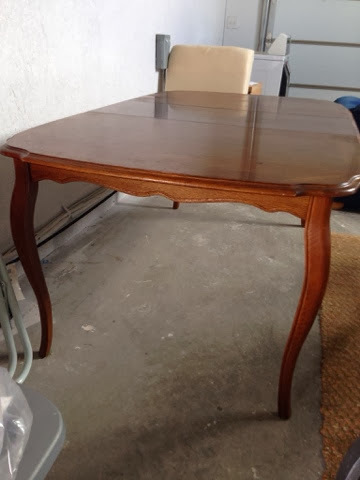 A few months ago I was gifted this beautiful French Provincial Style table. 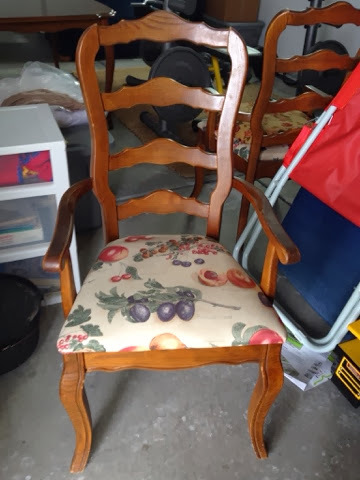 (Free.99) It is SOLID wood and absolutely beautiful. It is probably one of the best gifts I have ever been given. I can't thank you enough Patti! 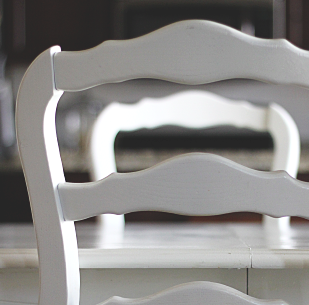 Although I love the stained wood, I really have always wanted a white table. 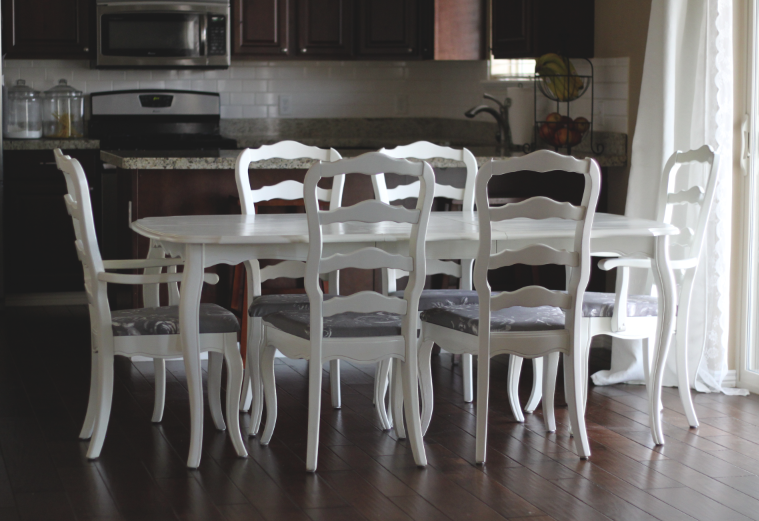 I just thought it would be the perfect addition to my new kitchen, and that it would lighten up my main living area. 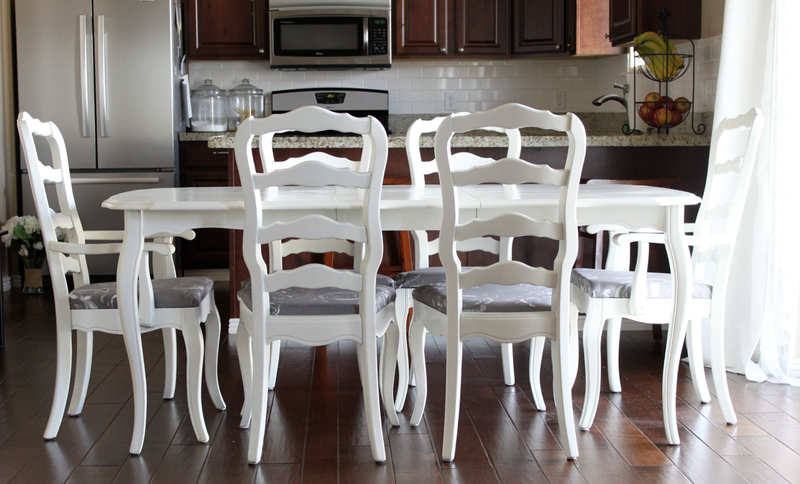 I decided to go with the ever popular paint color by Benjamin Moore, Simply White. 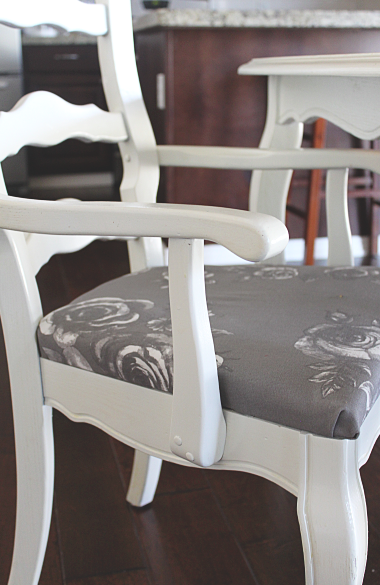 I have always painstakingly hand painted my furniture with a paint brush. I even painted my kitchen cabinets by hand ( I WILL NEVER EVER DO THAT EVER AGAIN!) It is just sooo much work. I want to share a secret with you! 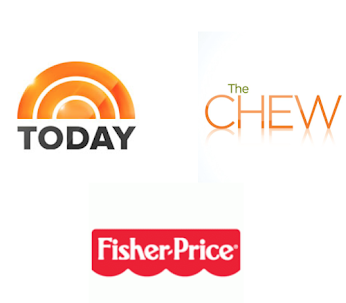 You can ditch the paint brush! It can be sooo much easier! You can finish a project like this in literally half the time!! 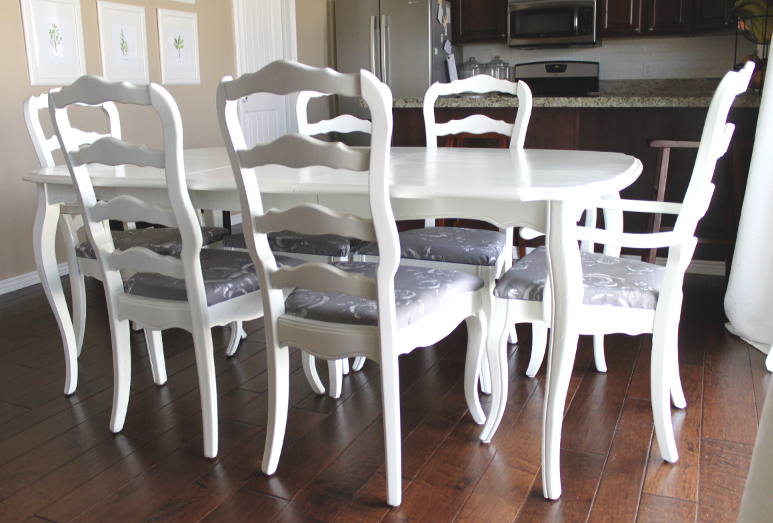 You can avoid ugly paint stokes and and a nearly flawless finish! All you need are a few special tools. 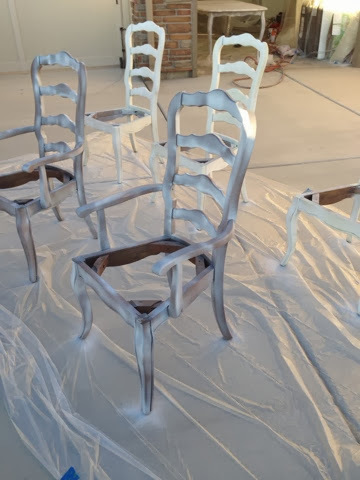 After Cleaning, and Sanding, I Primed and finally Painted. 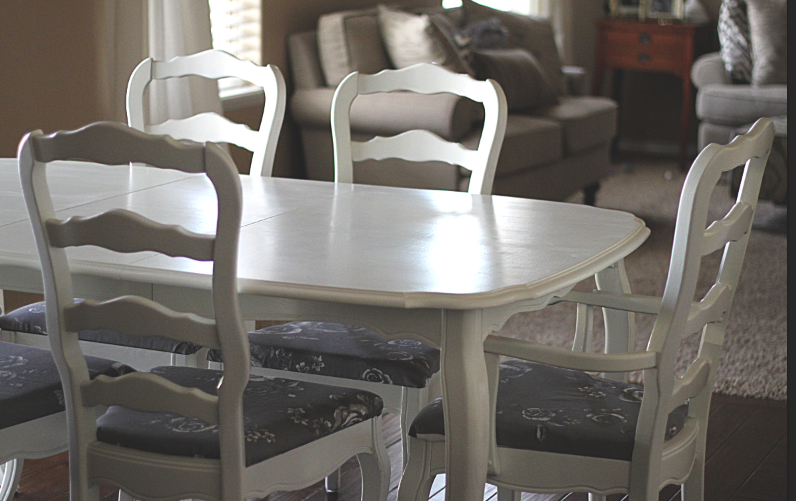 Click HERE for my previous kitchen table makeover instructions in detail. 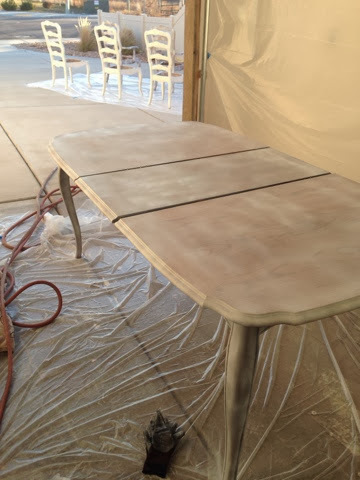 The only thing I changed in this process was ditching the paintbrush and used a pancake compressor and Paint Sprayer to prime and paint my table. BEST DECISION I HAVE EVER MADE IN MY LIFE... almost! 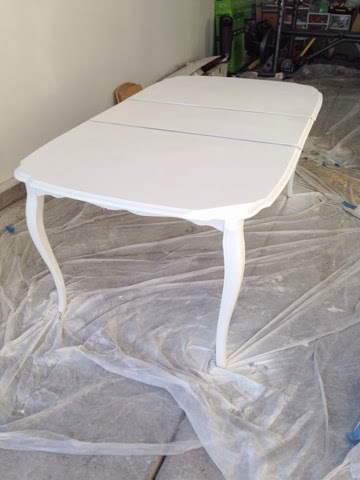 Here is my table primed... I used the Paint Sprayer for this of coarse! So fast and so easy! 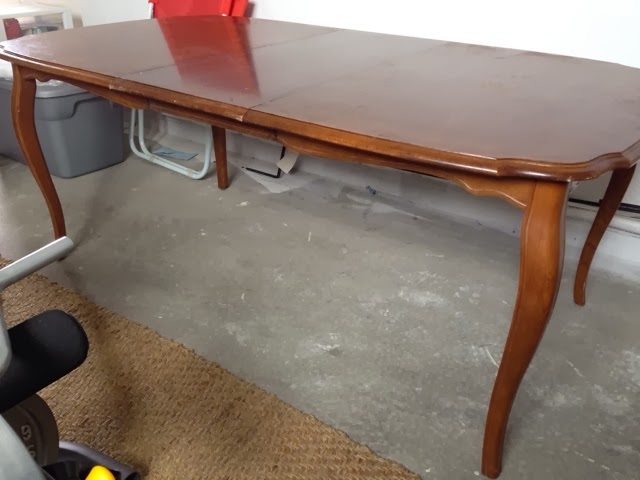 Here is my table Painted. I did three coats of paint for good measure. And here is the finished Product! I could cry I love it so much! I found the fabric for the chairs at IKEA. It was leftover fabric from a project I had done a while back. I may decide to change it in the future, but I think it is good for now. 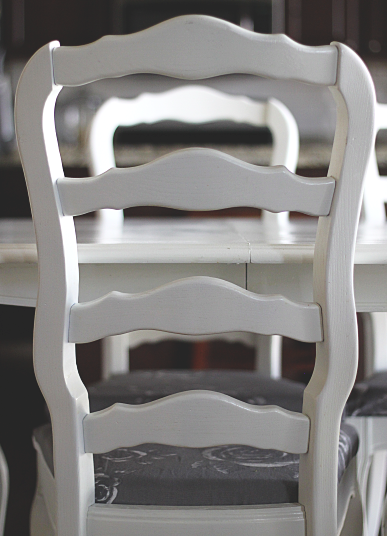 I just love these ladder back chairs. 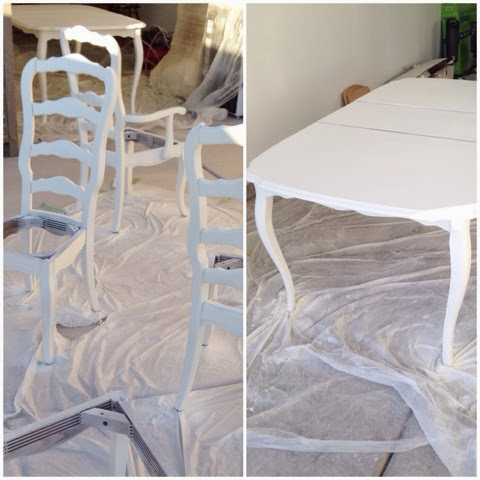 Hope this post is helpful in showing that painting furniture can be nearly painless with the help of a few special tools. That looks amazing Meg! Did you do some kind of topcoat over the paint? Thanks Leslee!! Yes. I just used water based semi gloss clear coat. Hope you are doing well!! LOVE seeing your family on instagram! did you sand it pre spray down? Yes! I did sand it down. I especially sanded the table top where there would be a lot of traffic. I wanted to make sure the paint really stuck!